So Why is This THE BEST Minestrone Soup??? It’s made in MERE MINUTES in your Instant Pot. It’s super easy to make and calls for ingredients you’ll probably already have on hand. 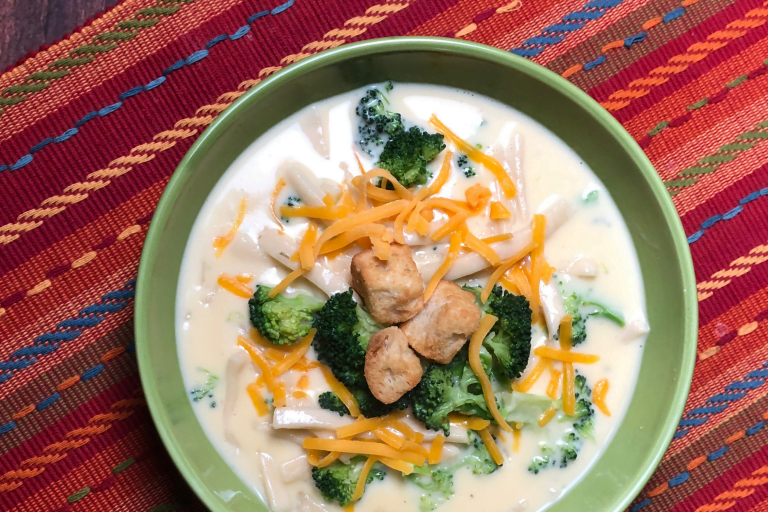 This soup freezes well, so save some for later that you can just re-heat. It’s way better than anything you’ll eat in a restaurant! Are You Familiar with Pearled Sorghum? If you are looking for ways to incorporate whole grains into your meals, sorghum is a naturally gluten free grain that can be popped like popcorn, ground into flour, used in soups and salads, or even brewed into beer. The Whole Grains Council is an excellent resource for general information, how to find and prepare different grains, and the benefit that they can provide. Look for their stamp of approval on Nu Life Market sorghum products and find out more information at www.wholegrainscouncil.org. What’s so Great About Cooking With Healthy Grains, Such as Pearled Sorghum? It’s a super easy way to get added nutrition. Eating more whole grains is a good way to make your diet healthier. Whole grains are packed with nutrients, including protein, fiber, vitamins, and antioxidants. A diet rich in whole grains has been shown to reduce the risk of heart disease, type 2 diabetes, obesity, and some forms of cancer. By themselves, grains have little to no flavor. This means the grains are actually going to take on the flavors of the dish that you are adding them to! If it’s a Mexican-inspired recipe, the grains will grab those flavors, if Italian flavors (such as in this Minestrone Soup recipe) are prominent, the grains will take on those flavors and so on. 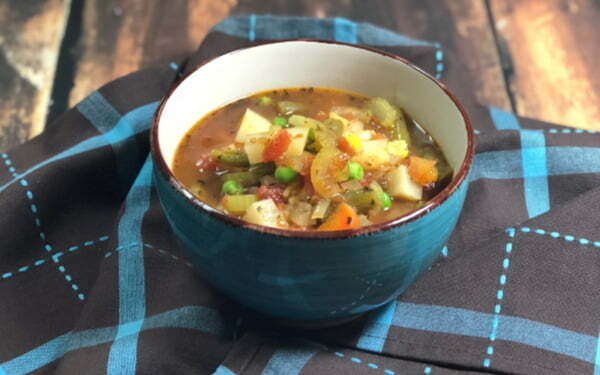 Need a nourishing Instant Pot vegetable soup recipe? This is it! Made with all kinds of vegetables, plus a healthy grain, pearled sorghum, this soup is soul-satisfying and hearty. Made as a vegetarian soup in this recipe, you can easily add Italian sausage, mini meatballs or diced ham to this recipe, if desired. In a 6-quart Instant Pot set to the sauté setting, add the oil; when the oil is hot, add the paprika and the vegetables; sauté for one minute, then turn off the sauté setting. Add the pesto, marinara, beans, sorghum, and bay leaves; top with broth - don’t stir these ingredients; leave them layered with the broth sitting mostly on top. Lock the IP lid into place, then use the manual button to choose the high pressure setting for 8 minutes, bringing the IP to full pressure. When the timer sounds, use a natural release for 10 minutes, then a quick release if any pressure remains in the IP. Carefully unlock the lid and give the soup a stir, adding the baby spinach, if desired. Remove the bay leaves before serving. Serve up steaming bowls of minestrone, garnished with a good sprinkle of parsley and lots of Parmesan, as well as good crusty slices of bread, for soppin’. Have you jumped onto the Instant Pot band wagon yet? If not, what in the heck are ya waiting for? Electric Pressure Cooking is here to stay, and once you get the hang of using your pot, you’ll never look back. I love getting dinner done in such a speedy, delicious way. Beans…..beautiful beans! Pinto beans and Great Northern beans are just ah-mazing made in your pot, and there’s no soaking of beans required! Grains…..we really like steel-cut oats, pearled sorghum, and quinoa made in the IP. Casseroles.…such as Enchilada Casserole and 5-Minute Italian Pasta. Soups and Chilis…..most of these take about 5 minutes! Such as Instant Pot Vegetable Beef Soup and Ham and Bean Soup. 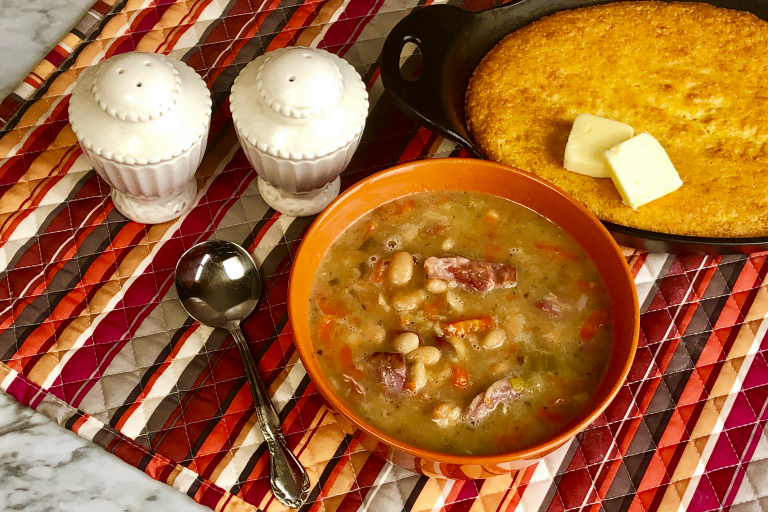 This recipe was presented on a sponsored segment for KAKE Wichita, March 2019, and featured From the Land of Kansas members and products. Special thanks to KAKE of Wichita and From the Land of Kansas for making this segment possible!